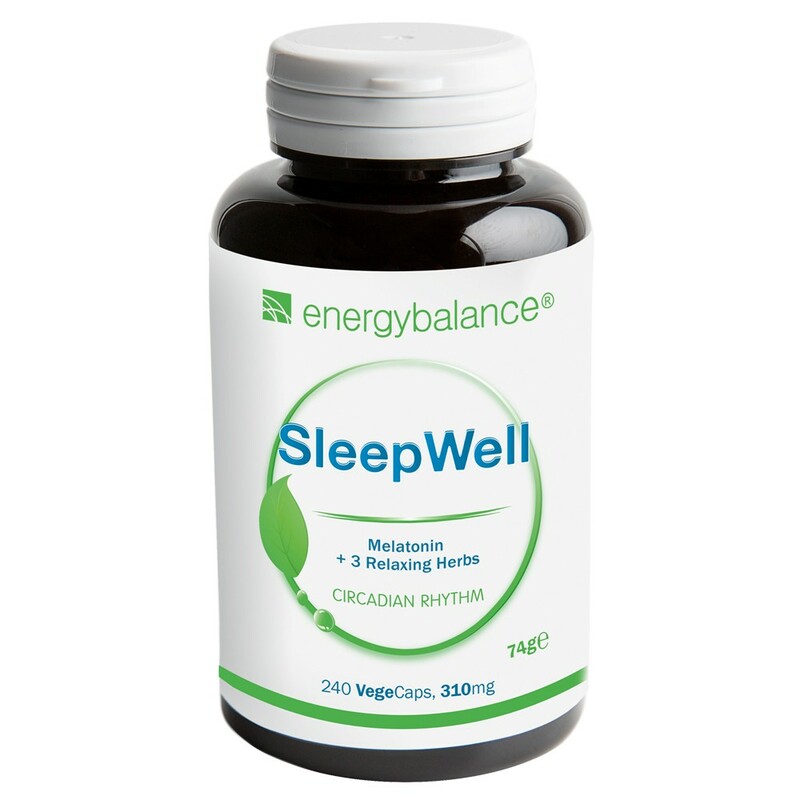 SleepWell with 1.0mg melatonin and three relaxing herbs: ashwagandha, passionflower and valerian. Our body produces melatonin, which supports the circadian rhythm, improves the sleep-wake cycle and helps regulate sleeping patterns. Approved by the European Food Safety Authority EFSA. Contents: 74g = 240 VegeCaps each containing 1.0mg melatonin and 3 relaxing herbs. Contents: 74g = 240 VegeCaps à 1,0mg melatonin and 3 relaxing herbs. SleepWell with melatonin and three relaxing herbs: ashwagandha, passionflower and valerian. Melatonin helps reduce subjective jetlag sensitivity (1) and can help you fall asleep faster (2). Approved by the European Food Safety Authority EFSA. (2). If you take 1mg of melatonin right before you go to sleep. (1) If you take at least 0.5mg before you go to sleep on your first day of travel as well as on the first day upon arriving at your destination. 100% plant-based raw materials, suitable for vegetarians and vegans, too. Adults take 1 VegeCaps (2 VegeCaps in case of elevated need) with a little water approx. 1 hour before going to bed. Sensitive to moisture. Store in a dry place with the lid tightly closed. Keep out of reach of children. Ashwagandha, passionflower, valerian, melatonin, cellulose (VegeCaps). 240 VegeCaps each containing 310mg = 74g.